A short video of the younger man silently smiling at the older one as the Native American chanted and banged on a drum was offered to the public, with the smile characterized, and harshly criticized, as a disrespectful smirk. Then a longer video emerged, indicating that the smile was benign, and that the two principals were not in conflict. Those are black racists dressed in colorful caps and robes adorned with Jewish symbols who try to achieve a sense of self-worth by pretending that they are the “real Jews,” and white people “Edom.” They often appear with display boards inscribed with the English renditions of the names of the shevatim; they imagine that each of various African or Caribbean populations stem from a particular shevet. Native Americans are assigned the designation of “Dan” by the befuddled members of the racist group, and members of the group, the later video showed, were rudely berating the high school boys, perhaps because some were wearing “Make American Great Again” caps. The “Hebrew Israelites” also tried to enlist Mr. Phillips, a member in their fantasy of the “tribe of Dan,” in their verbal attack on the boys and, at one point, berated him too. Even after longer depictions of the interaction were available, the debate among partisan players continued, with some trying to sully the boys’ and their religious school’s reputations, and others gleefully attacking the many media that fell hard for the first, incomplete, narrative. What emerges from the fracas is something that has been increasingly evident in recent years: truth is elusive. The kernel of the problem is that facts are mediated by people, and people are subject to biases. 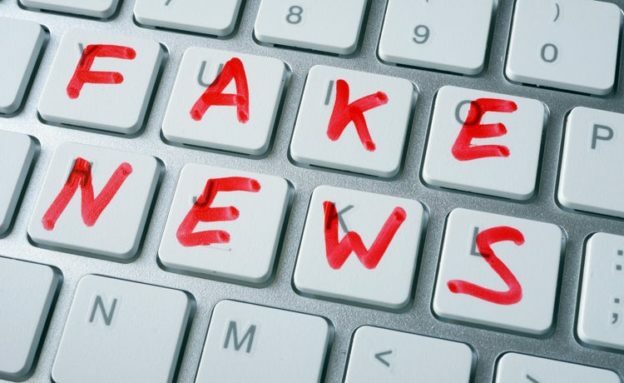 Reports tinged (or, at times, saturated) with writers’ prejudices have been colorfully labeled “fake news” by the president; for their part, fact-checkers have catalogued literally thousands of his own contentions that aren’t true over the past two years. It’s hard to know what can be believed and what cannot. That’s always been the case, of course, but it’s getting worse. Much worse. Incomplete videos are one thing. Deepfakes, quite another. If you don’t recognize that word, you’re not alone. It’s been around for a while but only entered the larger populace’s lexicon in the past year or two. 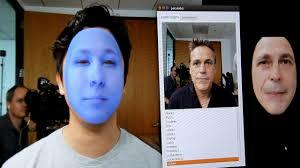 Deepfakes are videos made with the use of special software that makes it seem that an identifiable person is saying or doing something he has not said or done. Sort of Photoshop for video on steroids. The software, which is readily available and being constantly refined, superimposes existing recordings and images onto others, creating a realistic, but entirely unreal, action, speech or expression. The technology can be used to alter the words or gestures of a politician or other public figure, yielding the very fakest of fake news. Last year, a doctored image circulated by gun rights activists and Russian discord-sowers purported to show a Parkland high school shooting survivor and gun control advocate ripping up a copy of the Constitution. What she had actually torn up was a bulls-eye poster from a gun range. And Myanmar’s military is believed to have used deepfakes to ignite a wave of killings in that country. Technology expert Peter Singer predicted that deepfakes will “definitely be weaponized” whether it is for “poisoning domestic politics” or by hostile nation-state actors to gain an edge on the battlefield. Chazal teach that, when the “footsteps” of Moshiach are close, ha’emes tehei ne’ederes, “truth will go missing” (Sotah 49b). Seems there’s cause for optimism. This entry was posted in Jewish Thought, Journalism, News, Politics on January 31, 2019 by Rabbi Avi Shafran. 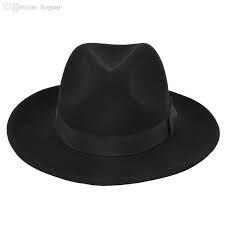 An article of mine about anti-haredi bias appeared in Haaretz earlier this week. It’s accessible here. If you aren’t an Haaretz subscriber or registrant, send an e-mail to [email protected] and I’ll e-mail you a copy. This entry was posted in Anti-Semitism, Journalism, News, Orthodox-Bashing, Personal Reflections on January 30, 2019 by Rabbi Avi Shafran. The media bias with which I was confronted as Agudath Israel’s public affairs director largely concerned Orthodox Jews, not political matters, but my frustration then was similar to the president’s current pique. At the time, of course, computers were fairly new, social media nonexistent and tweeting, blessedly, was limited to birds. All the same, though, I tried to raise a hue and cry, fantasizing that I might change the world, or at least the media world. Needless to say, I didn’t. Or its story on the twelfth Daf Yomi Siyum Hashas focusing not on the incredible turnout and enthusiasm of those present but on the fact that Orthodox women don’t traditionally study Talmud. Or its characterization of the 1991 Crown Heights riots, years later, as “[violence] between blacks and Jews,” when the violence was entirely one-sided. There were many other errors of fact over the years, not to mention a dearth of Orthodox voices in stories that cried out for them. Agudath Israel made countless efforts to correct the record in calls to reporters, letters to editors and other interventions. But clear, demonstrable mistakes were one thing. More slippery fish were the subtle misleadings: the emphasis on one aspect of a story at the expense of a larger picture, the omission of important pertinent information, the clever but deceptive opening or closing lines, the headlines that misrepresented what the articles beneath them actually said, the choice of photos that impugned Orthodox Jews. Those sorts of things were what really rankled, because effectively countering them was like nailing ptcha to a wall. News media are not final arbiters of truth or facts; they are, rather, lenses through which information is channeled to us. And every lens has its particular shade, warps and flaws; every reporter, no matter how cautious, his or her inherent biases. Trying to deny or resist that undeniable truth, imagining that media can in fact be totally dispassionate, is what leads to frustration. But being angry about a news organization’s reportage’s lack of balance is like being angry at your refrigerator for not washing the dishes. News, at least at its core, is views. All media are, to one or another degree, biased. A medium like Hamodia is entirely open about its prejudices. The paper you are holding makes no bones about the fact that it is proudly partial – in favor of Torah and Yiddishkeit, against all that is diametrical to those ideals. Media that purport to be impartial, by contrast, are neither that nor truthful. In a perfect world, perhaps, artificial intelligence would provide us the news, in the form of simple, cold facts. There would be no human bias tweaking it this way or that. But, minus the human element, foibles and all, such reportage would be utterly boring. The price we pay for interesting is acceptance of the human, and thus imperfect, factor. We must of course continue to call the media out for their demonstrable errors of fact. But, when it comes to their subtle biases, all we can do is adjust for them. And the most a news organization aspiring to reportorial objectivity can do is to assign reporters to stories in which they are as disinterested (“without personal interest or advantage”) as possible. So if a Jewish newspaper wants to claim to offer impartial reportage, it should have only non-Jewish reporters on staff. Every Jew, after all, has a personal backstory, and his or her reportage will, willy-nilly, be informed by that history. Don’t hold your breath. In the end, we are stuck with the Jewish, and general, media we have. Not enemies, not fake. Just, like all their reporters, and for that matter most people, a bit biased. This entry was posted in issues of morality or ethics, Journalism, News on August 31, 2018 by Rabbi Avi Shafran. Most of us born and raised in this great country, an outpost of galus that offered our immigrant forebears unprecedented freedoms and protections, deeply appreciate not only those gifts but the Constitutional principles on which these United States stand. Among them, the First Amendment’s guarantee of freedom of speech. The issue of that guarantee’s limits is currently a thing, thanks to one Alex Jones. 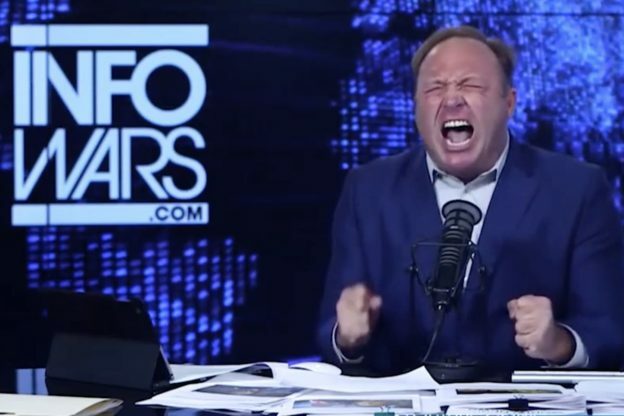 Mr. Jones is an extremely popular radio program host and the proprietor of a number of websites, most notably one called Infowars. He traffics in unfounded “reports” of conspiracies and nefarious actions by government and “globalist” agents. He famously averred that the Sandy Hook school shooting was a hoax, an assertion that resulted in threats against bereaved parents of some of murdered children. He has also propagated the notion that Democratic lawmakers run a global child-trafficking ring, and that the U.S. government was involved in both the 1995 Oklahoma City bombing and the September 11 attacks. He has also claimed that the moon landing footage was fake, and that NASA is hiding secret technology and the deaths of thousands of astronauts. Mr. Jones is in the news these days because of pending lawsuits by Sandy Hook victims’ parents and others against him, complaints by former staffers of his alleged racist or anti-Semitic behavior and, most recently, because of the removal of his posts and videos from top technology companies’ media platforms. To be sure, distasteful opinions are legally protected in our country. In 1969, the Supreme Court held that even inflammatory rhetoric is protected unless it “is directed to inciting or producing imminent lawless action and is likely to incite or produce such action.” Revolting as some of Alex Jones’ rants have been, they likely fall on the mutar side of that legal psak. But the rabble-rouser’s lament that, with the curbing of his exposure, the citizenry has been deprived of their last defense against tyranny (upper-cased, no less) is as hollow as the heads of his fans who act on his wild speculations. In the end, though, no one is preventing Mr. Jones from promoting his untruths (or his products – the diet supplements and survivalist gear he profitably hawks between diatribes) from other rooftops, literal or electronic. The First Amendment limits only the actions of government, not private companies. Jones, though, is also using the right to free speech as a defense against the lawsuits he’s facing. One concerns Brennan Gilmore, a former State Department official who attended last summer’s violent “Unite the Right” rally in Charlottesville, Virginia. Mr. Gilmore was present when a man drove his car into a crowd of protesters, killing a woman. In March, Mr. Gilmore sued Mr. Jones for defamation, arguing that he had suffered threats and harassment as a result of the unfounded claim. Do such public speculations and conspiracy theories merit First Amendment protection, even when they cause harm to others? In a recent court filing, four law professors specializing in free-speech issues said no. Judges will decide, at least with regard to American law. As believing Jews, though, we know that there really is no hallowed ideal of “free speech.” The unique ability with which the Creator endowed us, the ability to communicate ideas, is not an “inalienable right” but a formidable responsibility. “From a word of falsehood stay distant” (Shemos 23:7) and “Do not give false testimony against your neighbor” (ibid 20:13) comprise our duty. Would that American jurisprudence, even as it protects unpopular opinion, recognize the import of that charge. This entry was posted in issues of morality or ethics, Jewish Thought, Journalism, News, Personalities, Politics on August 16, 2018 by Rabbi Avi Shafran. 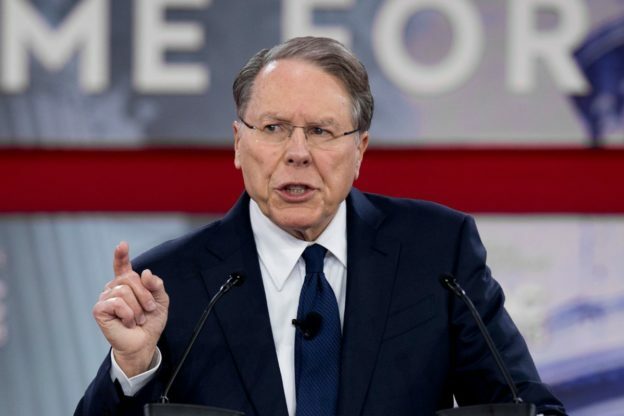 A reader has informed me that, contrary to what I had written in an earlier posting, NRA chief Wayne LaPierre did indeed mention the names of a number of non-Jews in his speech to CPAC. He is correct, and I have amended the piece accordingly. The new version is here. My apologies to all my readers for my inadvertent error. This entry was posted in Anti-Semitism, Journalism, News, Personalities, Politics on March 27, 2018 by Rabbi Avi Shafran. 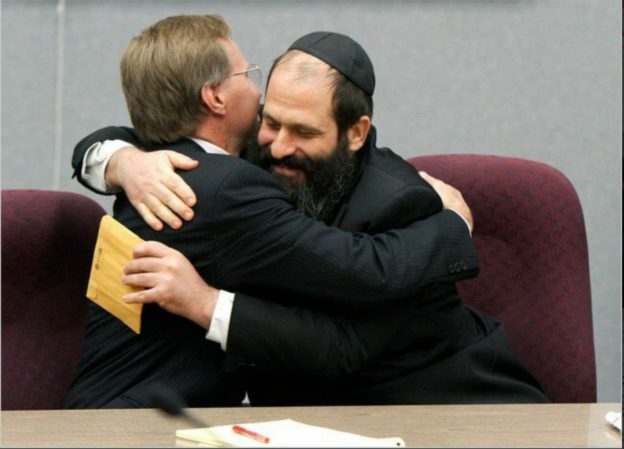 An article of mine about the negative reactions of some in the Jewish community to the release of Sholom Rubashkin and the celebrations thereof, can be read here. This entry was posted in Journalism, News, Orthodox-Bashing, Personalities on December 27, 2017 by Rabbi Avi Shafran. Below is my original draft of a piece I wrote for Forward. The article as it appeared there, though, was substantially edited, and several sentences that I think are important were omitted. So I share the original here. The Forward piece can be read here. Well, in case anyone for some reason may have been wondering, Peter Beinart, who recently wrote a piece titled “The Orthodox Should Know Better than to Embrace Hatred of Muslims,” doesn’t follow J.K Rowling on Twitter. Because if the Forward senior columnist and former The New Republic editor did, he would have seen Harry Potter’s creator’s retweet last year of a haredi (or in the Forward’s pejorative preference, “ultra-Orthodox”) rabbi’s message. Mr. Beinart must have also missed the story of the haredi director of a Brooklyn soup kitchen who, after the election, rallied support within his community for Muslim Yemeni neighbors who were protesting the new president’s executive order banning immigration from seven Muslim-majority countries. The haredi also organized support for a beleaguered local Yemeni-owned bodega, complete with “Shalom/Salaam” posters. Mr. Beinart could be forgiven for not knowing about the hassidic WhatsApp group that calls itself “Isaac and Yishmoel,” created to enable its members to defend unfairly maligned Muslims. But some research on his part might have turned up the fact that Agudath Israel’s executive vice president chairs the Committee of New York City Religious and Independent School Officials, which includes representation from the Islamic School Association. And that he has worked with Islamic school representatives on a number of issues before the New York State Education Department. And that, on the national level, he works with Islamic school groups under the umbrella of the Council for Private Education. Agudath Israel has also joined with Islamic groups in amicus briefs in religious liberty cases, and, along with the Orthodox Union, another major national group, has opposed “anti-sharia” laws. 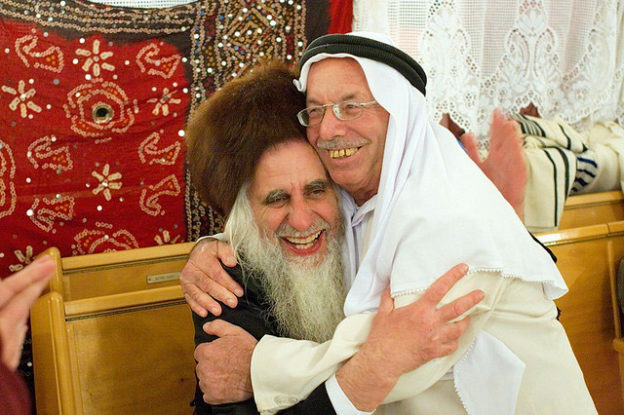 Is there wariness about Muslims among many Orthodox Jews? Yes, as there is among many non-Orthodox ones, among many Episcopalians, Catholics and Hindus too. Is that fair to the vast majority of Muslim citizens, who have no evil designs? No. But, unfortunately, the proclaimed world-conquering designs of Islamists and the malevolent acts committed by extremists exist. The distrust that results is, unfortunately, the responsible Muslim’s unfair burden to bear. But do Orthodox Jews hate Muslims or seek to harm them? Mr. Beinart should visit one of the Brooklyn neighborhoods where Orthodox Jews and Muslim immigrants live side by side, day by day without friction. The Forward columnist compounds his slander of Orthodox Jews by engaging in some Orthophobia, in effect accusing haredim of preventing women from marrying, touting genocide and killing babies. Yes, you read right. There isn’t space here to rebut such outlandishness. Suffice it to say that it is a high haredi ideal to find ways to compel a recalcitrant husband to agree to divorce his abandoned wife; that no people today can be identified with Amalek, and so the biblical injunction to destroy that evil nation cannot be applied; and that metzitza bipeh, the oral suction practiced by some haredim as part of the Jewish circumcision rite, has never been proven to be related to, much less the cause of, any infection in an infant, as three medical/statistics experts have affirmed (http://forward.com/opinion/letters/194118/no-conclusive-evidence-on-circumcision-rite-and-he/) in these very pages. The Orthodox community’s final crime, in the Beinart courtroom, is having voted in large numbers, and in contrast to the larger Jewish community, for the man currently occupying the White House. Judge Beinart chooses to interpret that fact as the result of Orthodox anti-Muslim sentiment. Might it be, though, that many haredim simply recognize that judicial appointments comprise one of the most influential powers any president has? And felt that Mr. Trump’s likely choices would prove more sensitive to our community’s concerns about societal issues and the potential erosion of religious rights in America? We must plead guilty – forgive us – to the charges of being social conservatives and religious rights activists. But not to Mr. Beinart’s ugly and incendiary charge. This entry was posted in Journalism, News, Orthodox-Bashing, Politics on November 21, 2017 by Rabbi Avi Shafran. It made many people very happy. “It” being the report widely circulated over recent weeks that an ice cream breakfast will make you smarter. The claim first appeared on a Japanese news site, citing a study by Professor Yoshihiko Koga at Tokyo’s Kyorin University. 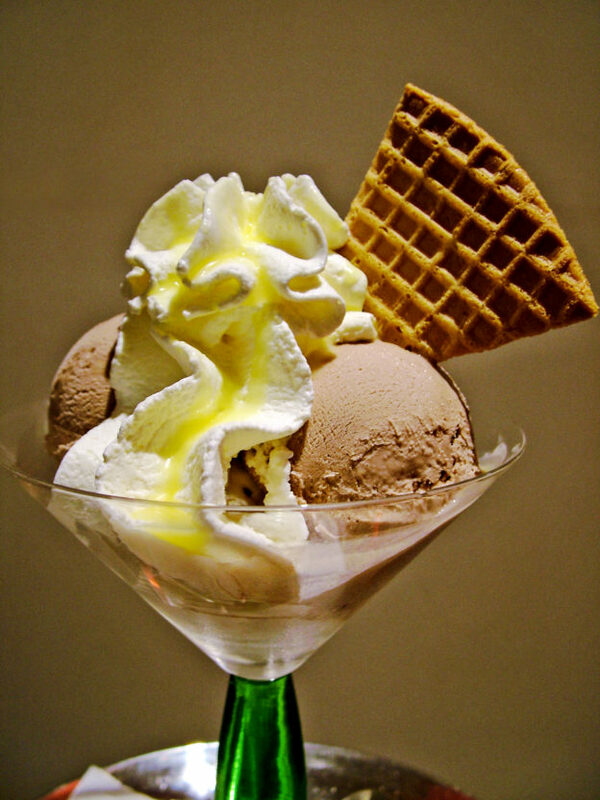 According to the story, Professor Koga found that people who ate ice cream for breakfast had faster response times and more brainwave activity than a control group. “Break out the Klein’s!” was my personal brain’s first, spirited reaction. The wonderful news, which, of course, runs counter to virtually everything nutritionists believe about a healthy first meal of the day, made its way to the British newspaper The Telegraph, and, from there, to media like Newsweek, CBS broadcasts and The Washington Times. Before you plan on a scoop of mint chocolate chip to start tomorrow, though, please note that the control group didn’t eat a “normal” breakfast. In fact, its members didn’t eat breakfast at all. So, playing Sherlock Holmes, we might suspect that the reason the ice cream eaters did better was because they actually ate breakfast (and sugar, which in excess contributes to a host of serious medical problems, indeed provides at least a short-lived boost to brain function). In the words of Reading University researcher Katie Barfoot, “A possible explanation [for the increased alertness]… is the simple presence of consuming breakfast vs. not consuming breakfast.” Possible, yes. The original report of the study, by the way, mentions, en passant, that the research was conducted in partnership with an unnamed sweets company. Watson, I believe we have a motive. Less mouth-watering and more potentially dangerous than even excessive consumption of sugar was some other material disseminated last year but whose extent has only recently come to light. Among those efforts, it is now known, thanks to an investigation by The New York Times and research from the cybersecurity firm FireEye, that last year a Russian-controlled cyberarmy of impostors created counterfeit social media accounts aimed at influencing the election. The Russian information attack included the hacking and leaking of Democratic emails, and a torrent of stories, true, false and in-between in Russian media like cable channel RT (“Russia Today”) and the news agency Sputnik. More insidious still was Russia’s hijacking of American social media to present information, and misinformation, behind cybermasks. Electronic means used by millions were repurposed as engines of deception and propaganda. Take Melvin Redick of Harrisburg, Pa., for example. In his photo, he smiled broadly, wore a backward baseball cap and held a young child on his lap. He urged others to check out a brand-new website. Mr. Redick, however, doesn’t exist. His ostensible photo was in fact of an unsuspecting Brazilian, “borrowed” without permission. The site purporting to be his was linked to the Russian military intelligence agency. It supplied private information stolen by hackers and presented to discredit the Clinton campaign and its supporters. Elections, alas – I hope you’re sitting down – are less influenced by intelligent analyses of issues and candidates’ records and statements than they are by selective information, real or otherwise, in context or out of it, offered to the public in a way that stirs bile, not brains. So, whatever the truth, or truthiness, of the material that was proffered by the non-existent Mr. Redick and literally thousands of thousands of social media ads devoid of context and promoting divisive social and political messages over the course of the months leading up to the election, the meddling of a foreign (and far from benign) power is meaningful. The contention that ice cream is a good breakfast idea is a relatively easy untruth to discern. That an supposed person is in fact not a person at all, or that purported “news” media are in cahoots with a foreign autocrat, a good deal less so. So, as you sit down, I hope, to a healthy breakfast tomorrow, ponder the fact that today, in news as in the marketplace, caveat emptor, let the consumer be aware. This entry was posted in Jewish Thought, Journalism, News on October 3, 2017 by Rabbi Avi Shafran. Among contemporary American life’s many negative influences on Torah-conscious Jews is a subtle one that is generally overlooked. We don’t need reminders of the pernicious impact of the surrounding society’s denial of eternal truths, embrace of immorality, lack of any semblance of tznius or obsession with material comforts and possessions. Well, actually we do need such reminders, and receive them from our manhigim. 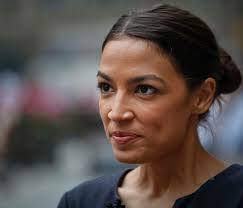 But we seldom hear about a spiritual ill that, at least to my lights, seems to be running wild among even Jews who are otherwise committed to Torah: Political bandwagon-jumping. I’m not referring, of course, to responsible shtadlanus, whose primary and most responsible practitioner is the organization I am privileged to work for (but, I remind readers, in whose name I do not write in this space), Agudath Israel of America. The judicious and delicate execution of shtadlanus, interaction with government officials – which was pioneered in the U.S. by the likes of “Mike” Tress and Rabbi Moshe Sherer, zichronom livrachah – is vital, although not a simple thing. People like my esteemed colleagues Rabbi Chaim Dovid Zwiebel and Rabbi Abba Cohen, with the guidance of Gedolim, admirably carry on those pioneers’ work in a duly careful and conscientious manner. My concern is with something else, what might best be called the “political sports team mentality” popular with so many simple-minded Americans, but which has been seeping, heavily of late, into the Torah-dedicated world as well. Otherwise intelligent individuals gleefully glom onto particular political parties or politicians, usually for some (at least arguably) rational reason, but then, when faced with the championed party’s or person’s wrongheaded actions, words or behavior, are unable to let go. The fans bend over backward to justify the unjustifiable, because, well, it’s their player or their team. And, conversely, the “opposing team” is a no-good bunch of bums, and can do no right. A leader or legislator can act laudably but, if he is on the wrong side of the designated partisan divide, will be criticized for being hypocritical, having a hidden agenda or just for not having done more. 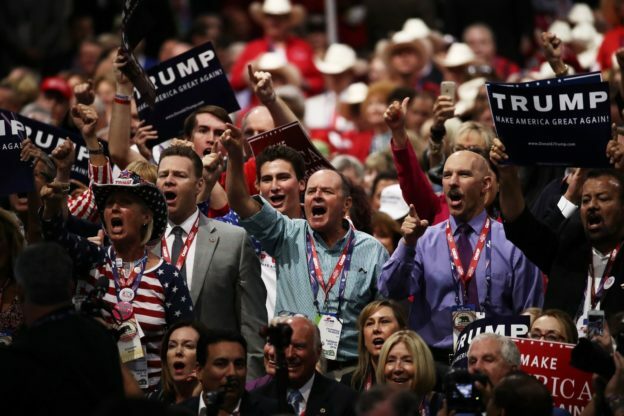 Is this what our community has come to, a quieter but no less mindless version of the rowdy crowds who heartily chant “Yes, we can!” or “Lock her up!”? Something’s gone missing in parts of our community and some of its organs’ political positions and commentary. Actually a few things. One is humility. That is to say, there are seldom simple answers to complex political issues – which most political issues are. Yes, there are certainly occasions when it is clear that a particular piece of legislation or political candidate is worthy, or the opposite. Thoughtful, truth-consistent positions come from research and objective analysis, not the rantings or self-righteousness of partisan players. Assertions, even if one hears them shouted on the radio or sees them, as the wry joke goes, “on the internet!,” are not necessarily actual facts. An actual fact is that, at the “Unite the Right” rally earlier this month in Charlottesville, one side was entirely composed of white supremacists of varied stripes but the other was mostly comprised of non-radical, non-violent opponents of white supremacy. And that the former group contained no very fine people. And, on the other hand, that neither Steve Bannon nor President Trump is an anti-Semite. An actual fact is that it wasn’t “the media” alone that was disturbed by the president’s seeming comparison of the two groups, but also leading Republican lawmakers, staunchly conservative periodicals, commentators like Charles Krauthammer, members of the Joint Chiefs of Staff, U.S. Ambassador to Israel David Friedman and, lihavdil, a number of respected Rabbanim. Mr. Brooks made another observation about political “zealots.” They turn politics, he wrote, “into a secular religion.” In our case, actually, it’s much worse. They turn religion – ours – into political tools, and even attempt to utilize statements of Chazal and divrei Torah to buttress their partisan positions. That’s indefensible. As is the entire “sports team” mentality in politics. We are, or should be, better than that. This entry was posted in Jewish Thought, Journalism, News, Politics on August 31, 2017 by Rabbi Avi Shafran.